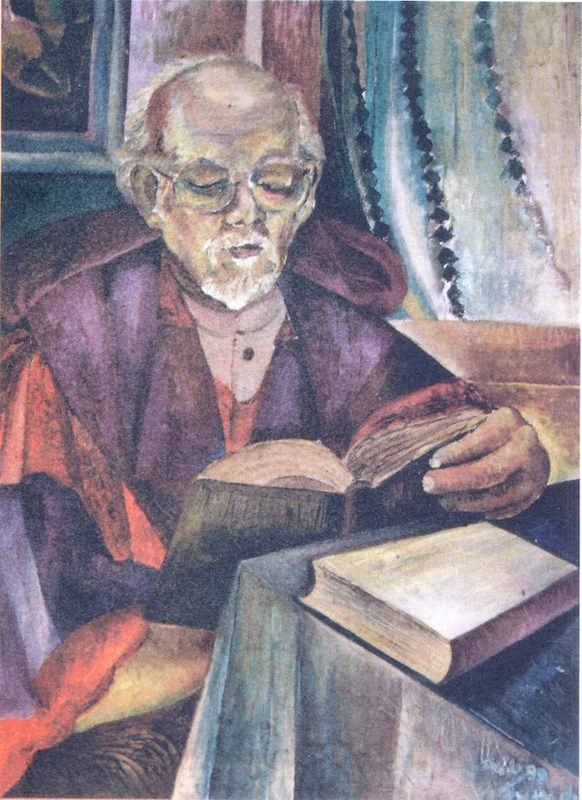 The memory of one of the greatest contributors to English education in Sri Lanka is fading away gradually and naturally. This article is a conscientious effort to prevent that from happening too early. The intention is to rekindle our memory of him from time to time. In “A Garland for Ashley, Glimpses of A Life” edited by Tissa Jayatilaka and Jayantha Dhanapala, a book that was gifted to me by Ashley himself with his familiar signature on it, I read a few personal accounts that were similar in some ways to the story of Ashley and me. I wanted to relate my story in his memory as I believe it still is unique despite bearing some similarities to other stories. The year was 1982, a long time ago, thirty-six years to be precise. If I were to secure study leave to study at university with my teacher’s salary intact, my options were either to take up Mathematics or English, neither subject I had taken at the advanced level examination in 1981 that had guaranteed my university admission. In desperation to study at university on study leave, I approached a certain Doctor at the department of Mathematics which seemed to me the most likely option. My previous studies and work were based on Mathematics. By that time, I had had eight years of experience in teaching mathematics in state secondary schools as a specially trained Mathematics teacher. To this academic, such experience did not mean much and he declined my request to study Mathematics, straight away, without a second thought at all. I had the booklet issued by the University Grant Commission in hand that expressly stated that a person who had studied a subject before, was entitled to read that particular subject at University although they had not taken that subject for the particular advanced level examination that guaranteed their admission to university. I could argue with the then temporary head of the department of Mathematics about my entitlement. I knew arguing with this person could be like committing suicide. Such was the autonomy those men enjoyed within the supreme educational institutions in our country. My second option was to take up English for which I had no prior qualification or experience, nor had I sufficient knowledge to cope at university level. I was even ashamed to ask anyone whether my request could be considered. I happened to know a brother of a friend who worked at the sub–department of English at the university of Peradeniya. During this tumultuous period, I accidentally met him at his sister’s residence and he heard my story. He encouraged me to approach the English department irrespective of the outcome. Reluctantly I met him at the university and was introduced to Dr. Kamal de Abrew. Dr. Abrew in turn took me to the grand library of the university. There, immersed in a book, surrounded by thousands of other books, stood this physically diminutive but intellectually colossal person named Professor Ashley Halpe – the humanist, artist, poet, writer and the teacher with whom later I became friends. Our conversation took place in Singhalese. He simply asked me whether I had studied English language and literature. Following my “no sir” he asked whether I had studied Singhalese literature. His eyes popped out in surprise at my “neither that, sir”. I said I was a science student throughout. “In that case I don’t think you can cope with the course work”, he replied. Only now, can I comprehend that he would have compared in his mind my situation with his own admission to the department of English instead of the medical school, although he did not show any sign of doing that. After a few minutes silence he said “If you fail your first year, you may have to pay back the year’s money. Is it not good to return to what you have been doing now rather than returning at the end of the year having to refund a lot of money?” Only years later I realised that he was testing my will and determination. However, my luck was such I said “I don’t mind taking the risk, I really don’t”. “You seem a determined man, all right, give it a go, come to the department on Monday”. That Monday I joined my class of new mates who were being taught by Dr. Tirukandaiah at the time I joined them. That was the beginning and the rest was history. Ashley’s method of encouraging me was to keep on saying that I would fail. I did not, thank you Ashley, I really did not fail you or myself. Ashley came to see me in Edinburgh and we spent a few days together and became even closer. Someone had written that more than anything else, Ashley was respected for his humility that knew no bounds. To the pupil who even did not speak English at the first interview, he said “you now speak better English than I do”. I knew I was just an anchovy compared with this massive whale. Yet, such was his humility to complement my rapid development. I have no doubt he must have shown that human understanding and compassion to many others in the same manner. That is the greatness of the man. Most times when I visited Sri Lanka I visited him at their Peradeniya residence. All those visits were warm. In January 2016 I visited him and promised to visit again in July. I said goodbye in the traditional manner to which I was used. It is hard to imagine that there were many of Ashley’s students who touched his feet in saying goodbye. That in fact touched his heart and when I raised my head I saw his eyes glistening with tears. After all he was still a Sri Lankan. At the time I did not know that it was not just a goodbye but a farewell. Farewell my dear sir! To me Peradeniya is void of life without you. Sri Lanka’s Only Solid Boast Before UNHRC 2018 - The RTI! You are very presumptuous and full of conceit. You state that we should talk about the past and not about what would have been, a comment relating to mine about Mervyn de Silva. Now who gave you the authority to set the agenda here? You pose as a goody, but I see you as a man with an agenda which you have not disclosed. However it is not my intention to get you thinking like me, rather to point out that if you have any qualms about anything I write feel free to do so without whingeing about morals. I for one do not know you and have no desire to know you, so let us leave it at that. Indranee Kandiahs[ nee Kannangara] dad was a Proctor of the Supreme Court, long before the Black-coated fraternity came to be known as Attorneys-At Law. He took to teaching at Trinity college instead of practicing as a Lawyer. Perhaps , he must have not wanted to make a living on the miseries of others! There were a countless no; of times that I had been invited for either Tea[ High Tea! ] or Dinner at their quarters next to Aru: Hall. Will TK nod like HOMER? What a name you have! To me you seem the ghost of Bineca, not a different person. This is the first time I came across someone who hates Thiru. He was a great teacher.His students loved him.You must have a personal vendetta against him. Did he fail you at some point? What’s in a name? like yours for example. Similarly what’s in a title? Go for the contents. Does anyone know what is happening in the Department of English at University of Colombo that is currently being headed by Professor Neloufer de Mel? Academics attached to various universities in the country are quite critical of two of their recent appointments. Apparently the Department even worded the advertisement in such a way to recruit a certain person. There were at least two or three candidates with better qualifications than the ones recruited. One has a PhD in the area advertised and the other is on the verge of getting one. Eventually both were recruited by Peradeniya. There needs to be more discussion in the media about the corruption in recruitment at public universities in SL. I can’t comment on what’s going in the Eng Dept but I can say that the head Neloufer de Mel is a big supporter of Yahapalana and given the general trend of what is happening in govt with rampant nepotism and corruption, I won’t be surprised that a similar trend occurring there. ArjunaParakrama is a man of personal integrity and would not lend himself to being an accessory to either corruption or nepotism but I gather that he has some health issues. Politically, I believe that Arjunais antiRajapakse but not necessarily pro Yahapalana. He has a record of blindly supporting the LTTE. I do not know whether he has changed his views. I refuse to bandy insults with you, but must respond to the many queries that you have made, and suggest some fine tuning to what you have said. You have suggested that I have various hidden agenda. I have only one agendum, to ensure the continued unity of this country, Lankawa In my view, some of the assertions that you make will make healing the rifts between the various communities in this country more difficult. I don’t expect you to agree with my views. There seems to be little purpose in correcting your views regarding my identity. I’ve even given you my email address; if you don’t want to write to me, that’s fine. I thought that there may be details about me that you wanted given off the record. The main article is a tribute to Prof. Ashley Halpe. I’m sorry that you, and I have dragged all sorts of politics in to these responses. I wish we could have steered clear of all that. You’ve stated that you have “observed anti-Sinhalese comments in [my] postings”. May I please ask you to substantiate. Various things about this “now-joke” Yahapalanaya. Yes, I was enthusiastic for it three years ago, like many other people. Like them, I’ve got disillusioned with it. However, I’d like to cut the Gordian Knot in relation to your accusations. I have indeed said many things in my attempts to promote better understanding with Tamils and Muslims which YOU may interpret as “anti-Sinhalese”. This is why I say, please quote. You have attacked many players in the same way; I cannot speak for them, but I fear that having racist tendencies yourself, you mis-interpret their liberalism, similar to the way you have with me. Firstly, thank you for taking the time to explain your position which I think is quite magnanimous on your part given my tirade of abuse directed at you. I can’t remember seeing your email address, but that is beside the point as It is not my desire to engage with people. I must confess that I am very liberal in my outlook but have little time for people with hidden agendas. Many contributors to this site write under Pseudonyms suggestive of Sinhalese authorship but the contents and nature of the polemics therein expose the community to which they belong. I do not wish to go into the merits or demerits of supporting one or the other side of SL politics, but I have chosen to take pot shots at all and sundry through my comments in my effort to expose the futility or incorrectness of the stance taken by people. Sometimes I have in my feeble attempts at humour used language involving sexual innuendoes which may have persuaded you to believe that I’ am not a decent man as stated by you. I was not particularly bothered either by your comment on my level of intelligence, as I myself feel that intelligence is something one is endowed with and I make no claim to a superior intellect. My riposte was to show you that personal barbs can be a two way business. I hope you have got my point and I do believe that you are a well intentioned man with a lot of patience. Thanks for an even more generous response, which clears the way for me to make some observations on pedagogy and social concerns which may actually be of some use. Hampered I am by my ADSL allowance being over, but even more by the need to live up to your expectations. Ashley Halpe was a good and concerned teacher. Now that Percy and I have made peace (thanks, Percy – it was you who made the first move), let me get on with stating how my entry to the University was significantly different from Helasinha’s, although we entered about the same time; for me it was the 5th of November 1982. I am almost exactly two years older, and I was trained as a teacher of English, at Maharagama. I, too, call myself a villager, but I’ve never really had a problem with English, relative to the standards that prevail in Sri Lanka. I must warn you, that I’m going to write too much about my experience, and no time to edit. Only skim through this, unless you want lots of details about an External Undrgraduate’s woes. Having got a bit stuck as a teacher in the Uva Province, I didn’t know how to proceed to a degree. My teacher-father had died when I was quite young. There was the pressure from my mother and sisters to do Accountancy! Good heavens! That, for me, was the pits. Then I heard of a guy from Bandarawela travelling to Colombo every week-end, to Wesley College. Inquiries made by me suggested that Aquinas was better; yes, nobody could possibly have been better at getting me on track than Mr M.I. Kuruvilla for English and Mrs Moldrich for Western Classics. My GAQ studies began in January 1979. I will say no more about those two “main” subjects, because once with that duo (who, incidentally, had as little as possible to do with the Rector) there was nothing more to worry about. I think that I wrote a record number of tutorials for them. I used to travel to Colombo on Friday evening, put up with relatives, and get back in a 3.15 bus on Sunday evenings. Two years of that! Never missed lectures. Ours was an actual batch with some fellow-feeling. The GAQ exam kept getting postponed; Kuru and Molly kept going – without pay. We made a collection at the end of the course, and gave them book vouchers. But it was very little. The third subject was a problem. I asked the Rector for Philosophy; he said that it was not “profitable” – or something like that. I, in turn, said something like “I’d expect the Catholic Church to even subsidise a subject that ought to be close to their hearts”. He was furious – threw me out of his office. So, it looked as though I’d have to go with the herd and do Economics which was popular and not Philosophy which I had registered for. The Lecturer was O.K., but some others felt he was pedestrian, so that group collapsed. I changed registration back to Philosophy. Two other guys were also genuinely interested; Jagath Senaratne, very young then – and I’ve lost track of him. The third was Rev. Fr Victor Silva – a really nice man. He completed his degree externally, and later was Rector of St. Joseph’s, Darley Road. I met him there a few times. The three of us went for “lectures” to Wesley College – no good! The Aquinas library had most of the books. We asked everybody possible to recommend the books to read. A text-book by a man named Titus. It was in the Aquinas library. About 800 pages. I summarised it, chapter by chapter, reducing it to the most vital quarter or so, guided by what had appeared in past papers. Let me stress that it was a text book. I did read the books by Bertrand Russel and A.J. Ayer. Then there was luck. The Aquinas Rector relented, because Rev. Fr Harold Panditharatne’s London A. Level Logic class at St Joseph’s had folded up. Those students had been Colombo kids still in their teens. But that was the next Aquinas batch that got Fr Harold; we joined them for about nine months, paying Aquinas, of course. He was brilliant, an absent-minded scholar with two PhDs . He took his teaching very seriously, started with the Symbolic Logic paper which all feared. I asked him what to do about the other paper. He wanted me to read a book by Hospers, more up-to-date, he said. A huge tome. I ploughed through it. The “other two” also read more than was required, but I was the keenest. I’m wondering whether CT will be accepting this. A Peradeniya section will follow. This is almost an article by itself! I don’t think Helasingha will really feel I’m upstaging him, because few will return to this article at this stage. The rest of the class had opted for the subject thinking Philosophy a soft option. I’d been reading around the topics for years, and collecting past papers, too, which I gave Fr Harold – photo-copying, though expensive, had just begun. In December 1980 we sat the GAQ. The Logic Paper had been thoroughly covered by then, and we had read Hospers on our own. When we told Fr Panditharatne that the three of us were sitting, he was surprised and disappointed. His teaching had been excellent, focussed, and most interesting with hilarious jokes thrown in, but he never got to know the students as individuals. By February 1981, after we left, the class had collapsed. Fr Panditharatne just began keeping away. Fr Harold didn’t clearly realise it, but he’d been coming from the Seminary at Ampitiya because “we three” been so responsive. In any case the Rector and he were not great buddies. Please allow me to keep the former nameless – none of us liked him! I really don’t know what happened to the others in the class; they were officially one batch junior to us. I do remember one occasion on which Fr Harold said, dead pan, that ours was a difficult class to teach, because most were indifferent, while some had been doing the subject for decades. I was dumb enough to ask Fr Victor who was being referred to. We sat in December 1980, the results came in December 1981. I entered the University only in November 1982. Thanks, Colombo Telegraph, for having deemed it relevant to publish my account of how I got to Peradeniya. I will try to comment more relevantly on my experience with Prof. Halpe, and talk about how he ran the English Department during the next two days. Another tribute to Prof. Halpe that I think you should see.